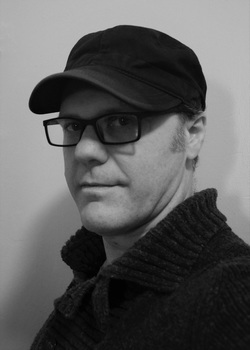 Paul is a stage director whose work spans theatre, musical-theatre and opera. He is a teacher of the Japanese performing art of Kenbu (Sword Dance). He trained under the late Maeda Asano Sensei of the Ryushin Ryu school, based in Nagoya, Japan. Paul was one of the first foreigners to publicly perform Kenbu in Japan, where he won awards in Tokyo and Nagoya. Paul holds an MFA from Columbia University’s Theater Directing Program, New York. His opera directing debut was Händel’s Xerxes for Grammy nominated Boston Baroque. He directed Mozart’s La Finta Giardiniera at the Alexander Kasser Theater, New Jersey and was invited back again to Boston Baroque to direct Händel’s rarely performed Amadigi di Gaula. Paul’s international directing credits are: Australia, David Mamet’s Glengarry Glen Ross for the Adelaide Fringe Festival, Shakespeare’s King Lear for Lightning Strike Theatre Company, Peter Weiss’ Marat/Sade, Menken and Ashman’s Little Shop of Horrors for Adelaide College of Arts; Canada, Giuseppe Verdi’s Don Carlo and Amon Miyamoto’s production of Tan Dun’s Tea: A Mirror of Soul for Vancouver Opera; Germany, Geöffnet for the Dosto Projekt in Berlin. His New York Off-Off Broadway credits are: Libby Leonard’s Blue Balloon for Columbia University School of the Arts’ New Play Feast Festival at the 4th Street Theatre, Seneca’s Thyestes at the Theater of the Riverside Church, Love is in the Air at the 14th Street Y, Tennessee Williams’ Talk to me like the Rain and Let Me Listen at The Sanford Meisner Theater, Shadow Boxing by James Gaddas at The Theater for the New City and Poulenc’s La Voix Humaine at New York Theatre Lab. Currently, Paul is a resident artist at the HERE Arts Residency Program to develop a new opera-theatre piece about the femme fatale Mata Hari. His most recent engagement was Giuseppe Verdi’s Il Trovatore for Hawaii Opera Theatre in May 2016.